Another handy way to save for retirement has been gaining media attention. Maybe you’ve recently maxed-out your 401k and your IRA, and you’re still looking for ways to save for retirement and defer taxes. If so, a relatively new tool on the market may help you meet your financial goals. 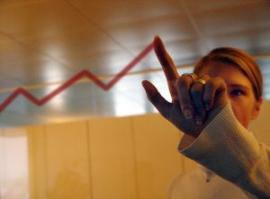 It’s called an Equity Indexed Annuity (EIA) and it’s gaining in popularity. Equity indexed annuities take advantage of the security of annuities and potential market gains. They’ve gained media attention as an insurance product that can profit from gains in market indexes. According to USA Today, currently 41 companies offer a total of 131 equity indexed annuities. The combination of the security of an annuity and the potential growth of the stock market has led to an increase in the amount of annuities purchased and also the amount of scrutiny given EIAs by the media and regulatory groups. Like a regular fixed annuity, you put money into an annuity in return for interestand a steady stream of income after you’ve retired. Income guarantees are based on the claims-paying ability of the insurance company. The difference is that with an equity-indexed annuity you have the potential to earn more future savings depending on the performance of the index to which it’s tied. Many EIAs are based on the Standard & Poor’s 500 index. One possible downside is that the insurance company with whom you contracted for the annuity can set limits on the amount of market gain you actually receive. While you still have an opportunity for adequate growth, it may not always be at the same level as the index. Insurance companies can limit your potential gains in several ways. For example, they can put a cap on your growth. If they assign a 10% cap, and the market increases 20%, you get only 10% of the gain. They can also give you only a percentage share of the index performance. For example, if they set the rate at 70% of index performance, and a particular index rose 10%, you would earn 7%. Finally, they can implement margins or spreads. If your margin was set at 4% and the market rose 10%, your annuity would rise only 6%. How and when interest is credited to your equity indexed annuity is an essential component as well. Some EIAs calculate interest by comparing your account value at the beginning of the year to its value at year end. Assuming a gain, the difference is added to your account using the guidelines above. Others take the value of your EIA then add the value gained after the entire term of the EIA which could be many years. One of the biggest advantages of EIAs lies in taxes. Future income and earnings in an annuity generally offer tax-deferred growth. This is especially helpful if you expect to be in a lower tax-bracket during retirement. Keep in mind that EIAs are primarily a retirement savings vehicle and usually have a penalty for early withdrawal. There is an additional 10% tax penalty if you withdraw before age 59 1/2. However, many annuities have a provision that allows you to withdraw 10% of your funds without paying a penalty. Withdrawals will reduce the amount paid to beneficiaries at the time of death. As with most investments, there is always risk, and you should consult carefully with a financial professional before you choose to invest. As an alternative to traditional retirement savings, Equity Indexed Annuities may be a viable option to help you plan for retirement.